843 Melrose Street Pontiac, MI. | MLS# 219032459 | The premier resource for all real estate information and services in Metro Detroit. 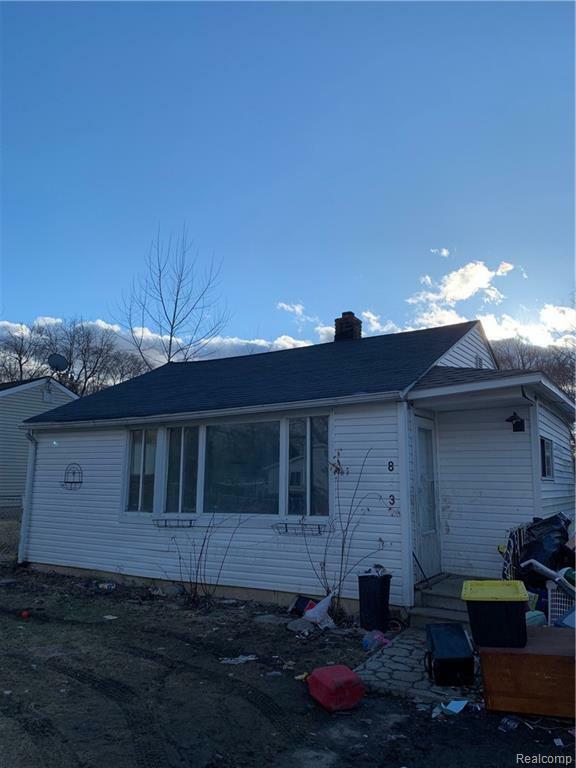 2 Bedroom Home on the north side of Pontiac. Home has newer roof, Updated Electric, Updated Plumbing, well insulated attic, rental certified with city of pontiac. Large fenced yard . Shed platform, Deck and more. Washer & Dryer main floor hookup. Stove and Refrigerator included. For the same price as renting you can own your own home today ! Possible land contract terms considered. Seller is licensed real estate agent. BATVAI. as is sale.